It’s not every day that you’ll come across Ferraris like these. Sure, it’s not at all unusual to see a Ferrari, but these are definitely not your usual Ferraris. What we have here is a 288 GTO, F40, F50, an Enzo, and a LaFerrari. And they’re all about to drag race one another. Thanks to our friend Salomondrin for setting this whole thing up, you’re about to see five of the most sought after Ferraris on the planet going at it on the track. 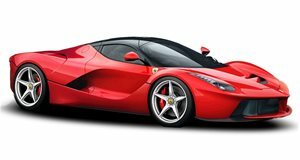 This is the third part of the “Ferrari’s Big 5” series where we get to experience these rare flagships all at once. Like before, all of these Ferraris belong to just one guy, collector David Lee. He doesn’t just let his cars sit in a garage and collect dust; he drives them all regularly. Not a bad life to have.